Building relationships through solid correspondence and collaboration is a skill that every business leader should possess, which is why The Art of Connection by Michael J. Gelb is a book that every entrepreneur should read. Justin Cobb, a global entrepreneur and business consultant, has read the book and offered to share his review with us. “The book does a great job of breaking everything you need to know down into seven easy-to-understand skills that almost anyone can acquire with time and practice. The first key focus centers around humility, which seems surprising, but the author does an excellent job explaining how and why being humble helps leaders gain the trust and support of employees,” Justin Cobb said. “In my own companies, we believe in the importance of establishing business relationships that are based on clear and friendly communication,” he continued. The book talks about achieving the “three liberations” which are: a) obtaining the ability to observe and analyze without rendering judgment immediately, b) the ability to do business without taking anything personally, and c) the ability to operate without ever placing blame on others or complaining about situations. 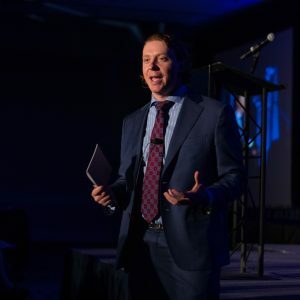 “The book’s take on accountability has helped me progress in business and has gone a long way in shaping the success of my own career over the past few years,” said Justin. “Gelb does a great job of guiding the reader through identifying their personality type and working towards feeding positive attributes while getting rid of negative communication habits,” he continued. Connections and communication go hand-in-hand, so the book is largely a guide on how to better communicate with others in a business environment. However, beyond conversational advice, it also discusses aspects like etiquette, deal-making practices, and other behaviors and processes that help to foster healthy business connections. In conclusion, it seems this book is a must-read for anyone who wants to learn how to build better business connections faster.